Tickets $1 a piece, 6 for $5, 14 for $10, or an arms length for $20. Many GREAT Gift Certificates and LOTS MORE to come! Products from Local Vendors, and Much More! 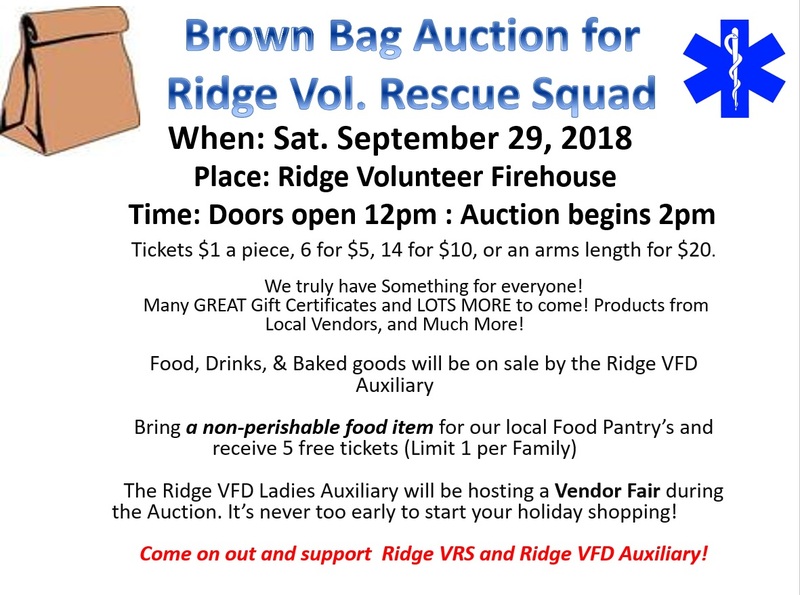 The Ridge VFD Ladies Auxiliary will be hosting a Vendor Fair during the Auction. It’s never too early to start your holiday shopping! Come on out and support Ridge VRS and Ridge VFD Auxiliary!